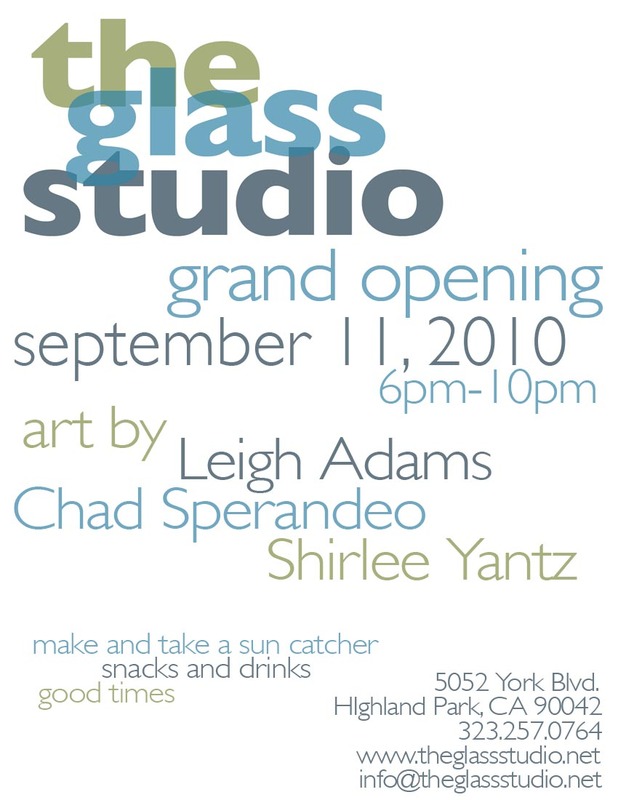 I’ve been very busy as of late preparing for the opening of my glass store, The Glass Studio. Well, last night was my opening party and I just had to share with all of you. I will be a full service glass destination in the Los Angeles area offering supplies for mosaic, fusing, bead making and jewelry as well of a bunch of cool classes. I know this is some shameless self promotion but…I’m really rather happy about this. And I promise that I’ll be back to tutorials and other crafty glass gossip later today. But if you are in the LA area. please stop by! Thanks for inviting us to your opening, it was great to see all the new glass pieces that Chad, Leigh and Shirlee had made. Loved the lighted pieces by leigh and Chad, great addition to any wall sculpture. Awesome, Cathi!!! I know The Glass Studio is going to be a great success and a fabulous meeting place for local glass artists. Congrats!!!! Please come to the next shindig, October 9th. It’s the closing of the current show and there will be a food truck and a make and take…hope to see you there! 6-10pm. It’s Art Crawl night in the neighborhood!